Maybe our best days are in front of us, but we’ve got some pretty good times already behind us. Check out our back catalog of greatest hits to see where we’re coming from. 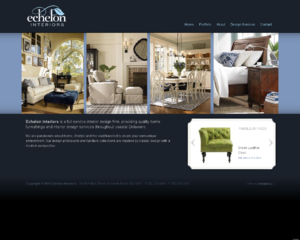 Echelon Interiors is a full service interior design firm. The website features sliding panels to reveal content sections.